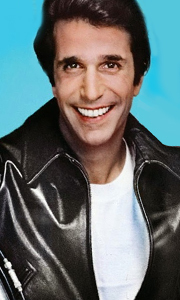 Own Happy Days Season 2 DVD from Deff, DVD, Blu-Ray & 4K Video Specialists - Free UK Delivery..
Own Happy Days Season 3 DVD from Deff, DVD, Blu-Ray & 4K Video Specialists - Free UK Delivery..
Poodle skirts... Jukeboxes... Cars with soaring tail fins... and rockin' and rollin' all week long. Those Happy Days are here again on this 3 disc, digitally remastered, must-have DVD set! Join one of America's best loved TV families - the Cunninghams - in the 1st season of this top-rated television series. Richie Cunningham (Ron Howard), “Potsie” Weber (Anson Williams), Ralph Malph (Donny Most) and “The Fonz” (Henry Winkler) head a ..